SMi Group reports: The £300 Early Bird discount for the Military Airlift and Air-to-Air Refuelling Conference is available until 28th September. 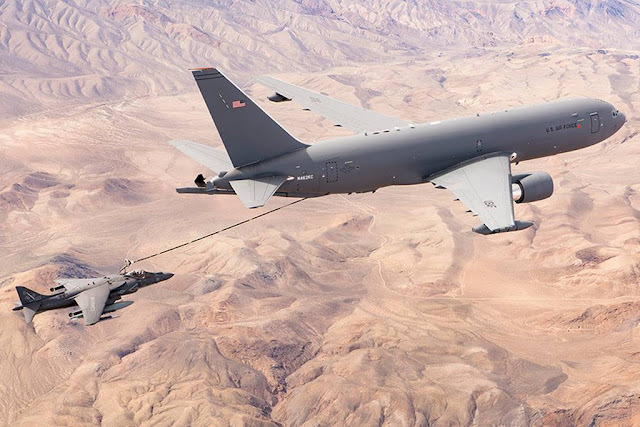 Boeing to deliver briefing on KC-46 tanker and its ongoing efforts with Italian Air Force at Military Airlift and Air-to-Air Refuelling Conference this December. Joint Boeing/ Italian Air Force overview of ongoing efforts. Boeing will also be exhibiting at the conference and hosting an evening networking reception day-one at the conference. But this is just one, of the many exciting presentations to come on the 4th and 5th December, in Rome. Military Airlift AAR 2018 will bring together senior decision makers, to focus on the key aspects challenging and enhancing airlift capabilities. Plus, new for this year: Air-to-Air Refuelling Focus Day 09.00 – 18.00, 3rd December 2018, Rome, Italy. Chaired by Laurent Donnet, Managing Director, Avidonn Consulting. During the focus day participants will have the opportunity to explore Air-to-Air Refuelling exclusively. Analysing: Automatic Air-to-Air Refuelling (A3), interoperability standards among allied nations, feedback from operational experience and appraisals on the next generation of AAR technologies – this forum is set to provide essential updates on this critical force multiplier. BOOK BY FRIDAY 28 SEPTEMBER TO SAVE £300!